Lucy calls the President to tell him of the sugar cube replica of the White House built by the boys' local cub scout troup. President Kenney is impressed enough that they are all invited to Washington, D.C., to present it to him in person. The miniature White House gets destroyed soon after they board the train, so Lucy and Viv connive to get more sugar cubes and rebuild it themselves. To get enough sugar cubes, Lucy hops off at one stop and cleans out a nearby diner's supply. Special Notes: Alan Reed is best known for providing the voice of Fred Flintstone on the TV cartoon series "The Flintstones" (1960-66). 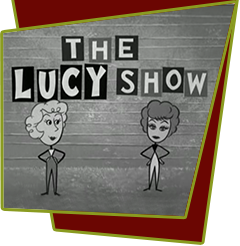 Frank Nelson makes his final appearence on a Lucy show in this episode. Lucy's real life son, Desi Arnaz, Jr. appears in this episode as one of the cub scouts.